The Chief Executive, Mr C Y Leung, attended a flag-raising ceremony in celebration of the 64th anniversary of the founding of the People's Republic of China at Golden Bauhinia Square in Wan Chai this morning (October 1). Senior government officials and hundreds of guests also attended the ceremony. 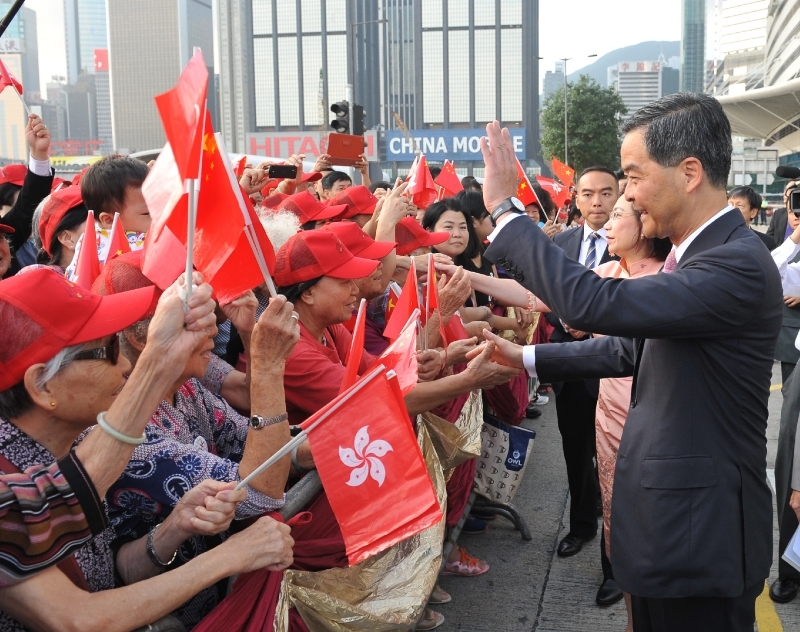 Picture shows Mr Leung being greeted by spectators on his arrival at Golden Bauhinia Square.